Eyelid tape is no doubt one of the most popular Asian beauty gadgets and have long been a holy grail for many. They are basically clear strips used to create the illusion of a crease or “double eyelid” so eyes appear rounder and larger. Those without a crease or have monolids are better off using eyelid glue, unless they are using double-sided eyelid tape. If you use one-sided eyelid tape, it is bound to show. 1. 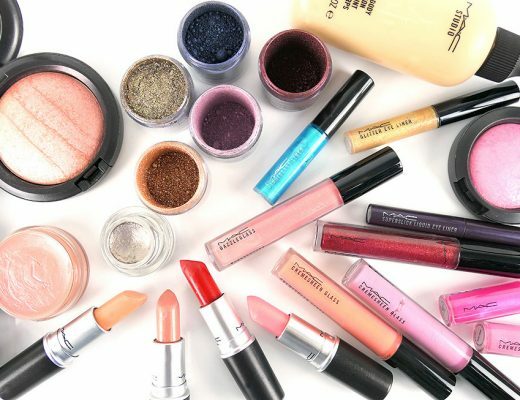 Make sure your eye area is clean and makeup-free. If you want to wear eye makeup, do so after you put on the tape. 2. Based on the curve and length of your eye, cut out a thin strip. Make sure the tape is slightly shorter than the length of your eye so it does not stick out on both ends. 3. Look into the mirror and figure out where your natural crease is. 4. Close your eyes and apply the tape. 5. Open your eyes and blink a few times. If you do not see the tape, good job you did it! 1) Eyeliner along your upper lashline is a must. It will help hide the tape and make your eyes look bigger. 2) If you are worried about the tape showing or have trouble hiding it, try to focus more on your lashes by wearing falsies. 3) When choosing the right eyelid tape, pick one that is non-reflective, transparent and smooth. 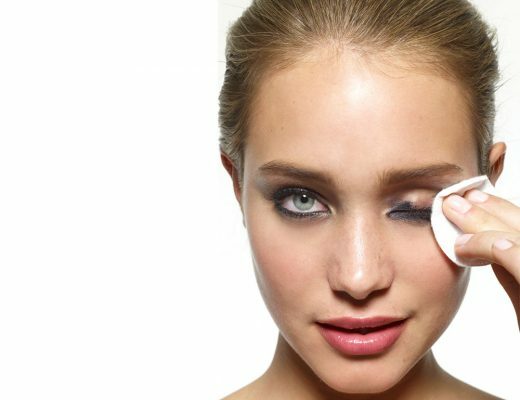 That way, your eye makeup will go on a lot easier too. • Saggy skin. Constant peeling of the tape from your eyelid and improper usage can result in skin losing elasticity. • Irritation and allergic reaction. If you have sensitive skin, wearing eyelid tape may cause irritation. • Time-consuming. Taiwanese singer Elva Hsiao is reported to spend two hours every day just on doing her eye makeup. • Slight discomfort. Some people may experience slight discomfort when wearing the tape but it is something that you can get used to. 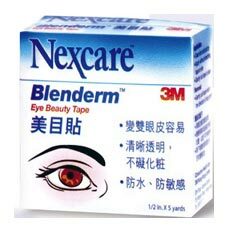 3m Nexcare Blenderm Eye Beauty Tape is one of the more popular eyelid tapes in Hong Kong. It comes in a roll and is roughly 0.5 inches thick so you will have to trim it. It is also transparent, non-reflective, waterproof, breathable, easy-to-remove and hypoallergenic. Plus it does not leave behind any adhesive residue and is widely available in Asia. Check it out if you get a chance! 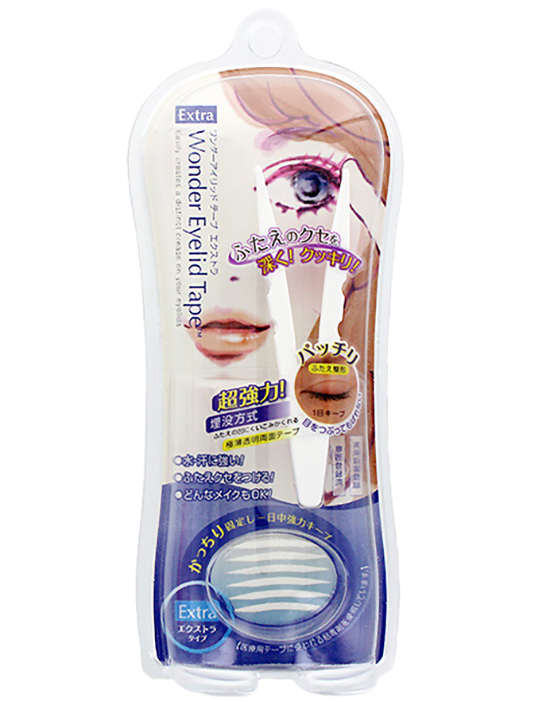 D-Up Wonder Eyelid Tape is my personal favorite. It is transparent, non-reflective, waterproof, breathable, easy-to-remove and hypoallergenic as well. The best part is it is double-sided and hands down the most natural eyelid tape you will ever find on the market. See a detailed review and before-and-after pics of me using the tape here. Learn how to make eyes without a crease look bigger and see more celebrities wearing eyelid tape! Images: Apple Daily and Oriental Daily. I feel bad for Elva Xiao too. Gosh – two hours just on eye makeup. I use to use the tape and the glue, but due to my ultra oily lids, it didn’t last long at all. I also had an allergic reaction to the products as well. I was born with uneven eyes. One with a lid and one without a lid. Could you do a post on eyelid surgery? Thanks. Keep up the good work on your blog. thanks for info on the eyelid tape!! Well like I stated in the entry, those completely without a crease (aka those with single eyelids) are better off with an eyelid glue. Haha, I have slight crease, and it doesn’t work for me at all! It’s really obvious, even with false eyelashes, become VERY irritating after a short period. Hmmm interesting. I know people who have used the tape for years and it has worked perfectly for them. I guess it is different for different people. Well believe it or not but I read that her manager was against it because some people believe in face reading and the slightest change on your face (including surgery) can change your luck completely. hm.. i started using eyelid tape a year ago, and at first, it was pretty obvious.. until i learned to use an eyeshadow pen on top of the tape! i tried to use tape.. but it works so weird?! Cuz only one side is sticky, so if u stick it on, I don’t get how a crease will form.. its just like a piece of tape stuck to the eyelid and nothing happens?? But I used eyetalk and that works! Just kinda looks weird?? I use the tape too and I will not go anywhere without it now! wow…gosh! I just can’t imagine using it everyday!!!! Thanks for the post…I can see why they’ve got big eyes! hahaha I’ve always been wondering! Nice post! I’m so glad you posted about this! I was wanting to try the tape and you cleared up a lot of my doubts. Thank you so much! I am living proof that double eyelid tapes DO work! I used to have no crease whatsoever and then I used the tape every single day (about 24 hours/day!) for about 2 months and now, even three years later, my creases are still here :D! They aren’t huge creases but they do significantly improve my appearance and they look 100% natural. Sometimes when I’m tired these creases go away for a day but they come back the next day. You can always wear the tape again for a day or two. So many celebrities have gotten their crease this way (many Korean ones). 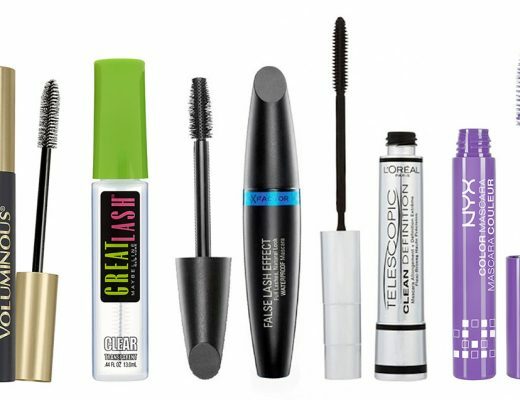 Other ways to increase your eye size: false lashes and circular lens. wow thanks for the tip! I have been using eyelid tape for the last couple of days. I already have double eyelids, but it is really deep and my eyelid is just kinda puffy. So, what I want to know is for someone like me who has double eyelids and just want to have a more prominent one, do I apply the tape above my natural crease or below the natural crease? So confused. Any tips will help. Where do I get the tape in US? Tina, you can buy it off eBay, I just did and will try it out as soon as it arrives! Wow! I’ve heard so many cases of people getting permanent double eye-lids using tape/glue. But I’ve also heard some about getting even smaller eyes afterwards! Should I try then? …. How long does it take to get the permanent double-eyelids? Response to July 3, 2008: I have a crease myself, but my upper lid is so prominent that it practically droops over; lots of eyelid fat as ppl tell me. The look makes me look older than I am, plus I am afraid that the upper part of my lid will eventually over take my eye. Anyhow, I have been using clear med tape & cutting them into small squares. I place them slightly above my original crease in hopes of creating a new and higher crease. After 3 wks, my right eye has conformed to the new crease, but my left eye is still having trouble. It turns out I have more loose skin on that lid. Anyhow… I’m actually amazed that it does work, but to play it safe, I’ll keep doing this for a few months. I found out that Asians aren’t the only ones using this “tape” idea. I think Asian products are easier to use though, and cheaper. I used to have one double and one mono eyelid so I started using Eyecharm’s double-eyelid tape for the mono eyelid. I mainly used it at night, leaving it on during mornings for about an hour after waking up. This gave me double eyelids throughout the day. After nearly two years of wearing the tape at night, my mono-eyelid eventually developed a crease and now I don’t have to use the tape anymore. You just have to be persistent! Where do u buy the eyelid tape with out buyin it online,cuz i don’t have credit card,does Marukai market has the Tape?Thank u guy. fat eyelid, u just have to find the right cut for ur eyes. bcos i have the same type of droopy and fat eyelids…. maybe u cam email me, so i can email u back with my pict of putting the right place for ur eyes. When you first wear eyelid tape, you’ll have difficulties finding the sweet spot on your eye where the tape won’t be visible/peek through. You may even have to trim them down. Be careful, some tapes are clear and some tapes are YELLOW. The yellow ones are very visible (bad experience). There are many breathable and waterproof eyelid tapes (for a good price) that last the whole day without being very visible. For monolids, using eyeliner and/or darkening the crease you made with eyelid tape will make it more natural looking. For a very very natural double eyelid, when I go home, I wash my face and put on the eyelid tape right away and leave it on until the next morning. Be careful when you’re showering. Your double eye-lid SHOULD last the whole day. Ive had a droopy eyelid all my life. I feel so insicure and I feel so different. Ive had constant stys, and ive had surgery but that did not help. I really want to get rid of it. I hate it. I have to cover my eye with my hair. Im still in school so all the immature people make fun of me and I get so annoyed I cry. Will this cure me? Or atleast help? Great article, and I’ve used many different ones including Wonder and other brands. I think the best one I’ve used is Mesh Tape from Taiwan by “Meng Meng”. It looks more natural than others, great for taking selfies..
Droopy eyelids are my family’s genetic reality, starting in our 30s. I had a spendy laser treatment (temporary, but worked) then I started using the Made from Earth Vitamin Firming Serum just before the next treatment. The bottle of that works as well as a $1000+ laser treatment? Now I buy 2 bottles of the Vitamin Firming Serum and just a tiny dab on each eyelid, every am & pm, does the trick. About 3 weeks after first use the change was obvious, even to my husband.